Glenwood Elementary in Maple Ridge serves approximately 330 students. It is considered an inner-city school, meaning students and their families have high needs, and many live in poverty. Many students here deal with anxiety, ADHD, FASD; it is a busy but inclusive school. Christa Dey-Girard is the Child and Youth Care Worker at Glenwood Elementary, and she runs their breakfast and lunch programs. The breakfast program runs every school day, with hot breakfast (eggs, sausages, sandwiches) on Tuesdays and Thursdays. Other days oatmeal, cereal and fruit are served. Anyone is welcome to this breakfast program; families often attend with the students. Approximately 100 children are fed here each day, a third of the school’s population. Sometimes they feed up to 130 children per day. There is a lunch program here too. The 2016-2017 school year was Christa Dey-Girard’s first year at this school. The more she got to know the students and families, the more she realized the program is integral to this school. Some students help out with the program by helping to cook and clean. A grade 6 girl helped to cook the hot breakfasts all of last school year. Christa asks for their input on meal planning and shopping, teaching important life skills to these young minds. 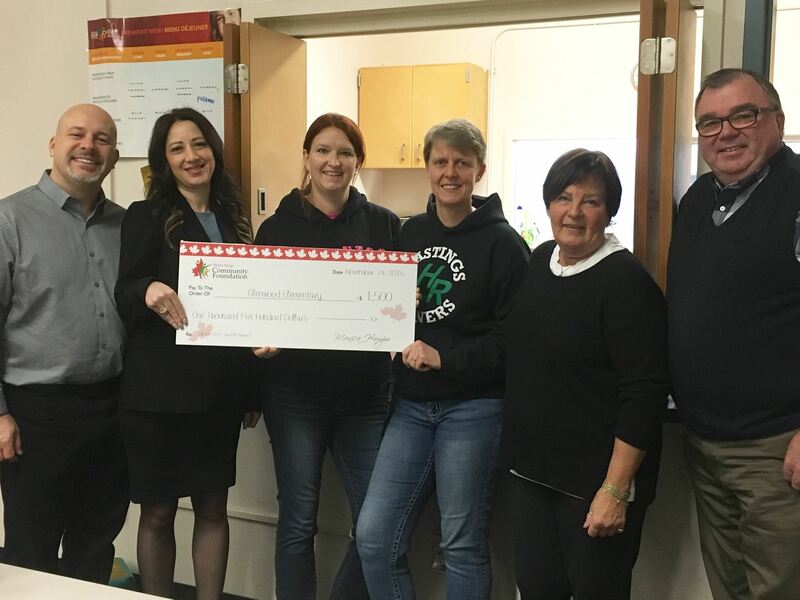 In November 2016, the Maple Ridge Community Foundation granted $1500 to the Glenwood Elementary food program, which is run separately from the allotted government funding provided to the school. They rely on support from Breakfast Club of Canada, Breakfast for Learning, Friends In Need Food Bank, as well as local grocery stores. Community grants, occasional donations by parents and others are all helpful to keep this important program running. Christa explains how spring and summer school breaks can be an anxious time for some students. During the school year, they come to rely on their school meal programs. Though the parents are encouraged to connect with other community resources during school breaks, they may or may not follow through. Recently, some of the students have been paired up with the Starfish Pack program by Kiwanis, another local non-profit organization working to eliminate child hunger. Gifts to the Maple Ridge Community Foundation allow us to grant funds to programs such as this. Thank you for ongoing support.